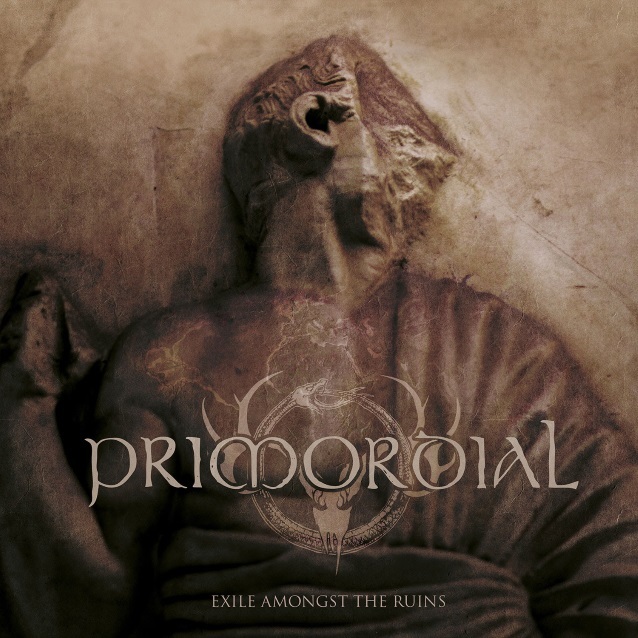 “To Hell Or The Hangman”, the new video from Irish pagan metallers PRIMORDIAL, can be seen below. The song is taken from the band’s upcoming album, “Exile Amongst The Ruins”, which will be released on March 30 through Metal Blade Records. The band teamed with producer Ola Ersfjord, who worked on PRIMORDIAL‘s 2016 live album, “Gods To The Godless”. The record was tracked at Dublin’s Camelot Studios, located adjacent to PRIMORDIAL‘s rehearsal room. Once again building upon their signature sound, the follow-up to 2014’s “Where Greater Men Have Fallen” is a more raw, “old-school sounding” record than its predecessor. Hitting home with what vocalist Alan “Nemtheanga” Averill describes as “a direct energy” and wielding an urgency that is undeniable, the Irish quintet once again effortlessly blend elements of tragedy and might like no one else. Likewise, the evolution in their sound continues to be organic and unforced, ensuring that “Exile Amongst The Ruins” is essential listening for both their long term faithful and those only now drawn into their world. Commenting on the album’s first single, “Stolen Years”, Averill said: “‘Stolen Years’ may seem like a strange choice as our lead single, and on the face of it, I guess it is. It’s not a blood-and-thunder epic about tragedy and might and the ruin of nations, nor is it a nine-minute epistle of doom. Have no fear, the album does contain those also, but to open this time, we chose something different. To coincide with the album release, the Irishmen have announced two special and rather intimate album-release shows in Germany as well as their appearance on the “Heathen Crusade” European tour with Finland’s MOONSORROW as co-headliners and Germany’s DER WEG EINER FREIHEIT as support act.